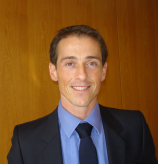 Franck Foures is currently Deputy Director in charge of food safety within the Risk Assessment Department of ANSES, the French Agency for Food, Environmental and Occupational Health Safety. Frank Foures is a vet and a civil servant. He first worked for the French Ministry of Food and Agriculture in the Directorate General for food, then held several functions related to animal health, food safety, veterinary medicine and quality management. Frank Foures also holds a PhD in Social Sciences (2011) from Institute of Political Science Paris (Sciences-Po Paris). His work explores the emergence and dynamics of sanitary crises and was titled “De l’urgentisation des routines à la routinisation des urgences : vieilles maladies, nouvelles crises, simples alertes” (From urgentising routines to routinizing urgenies).